Raw or Green Mangoes are available in abundance in India once the month of May comes around. 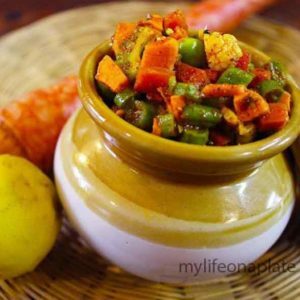 This dish, known originally as Methamba, is a typical Maharashtrian recipe which can be found in most of the Marathi households. Why just Marathi, one may ask? For the simple reason that most of the mangoes grow in and around Maharashtra, particularly Konkan, as the soil is suitable for their growth. 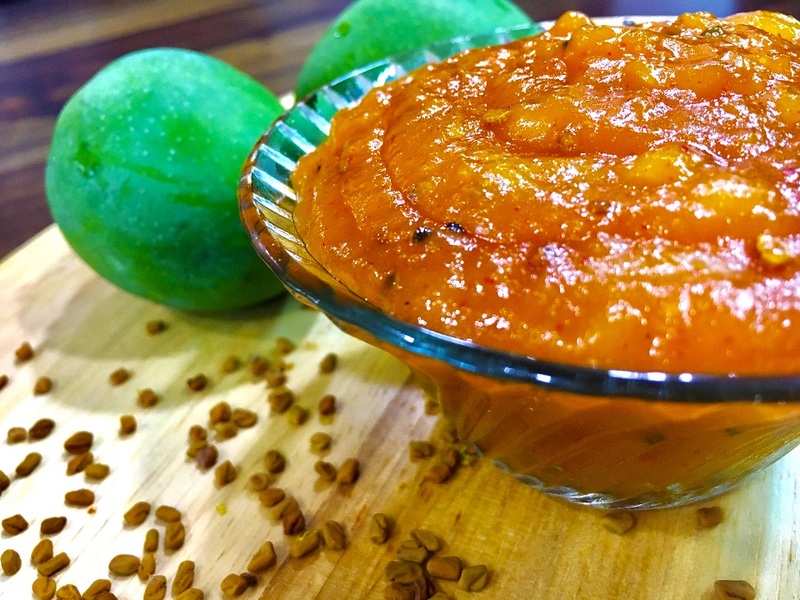 This sweet-sour-tangy-spicy relish can be an accompaniment to the main meal, or can be used as a spread on rotis and breads for a quick fix meal! Boil the raw mango. Discard the outer skin and remove the pulp aside. Throw away the seed. Heat the oil in a non-stick pan. 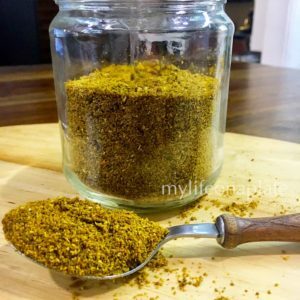 Once it’s hot, put in the mustard seeds, turmeric, asafoetida, fenugreek seeds. 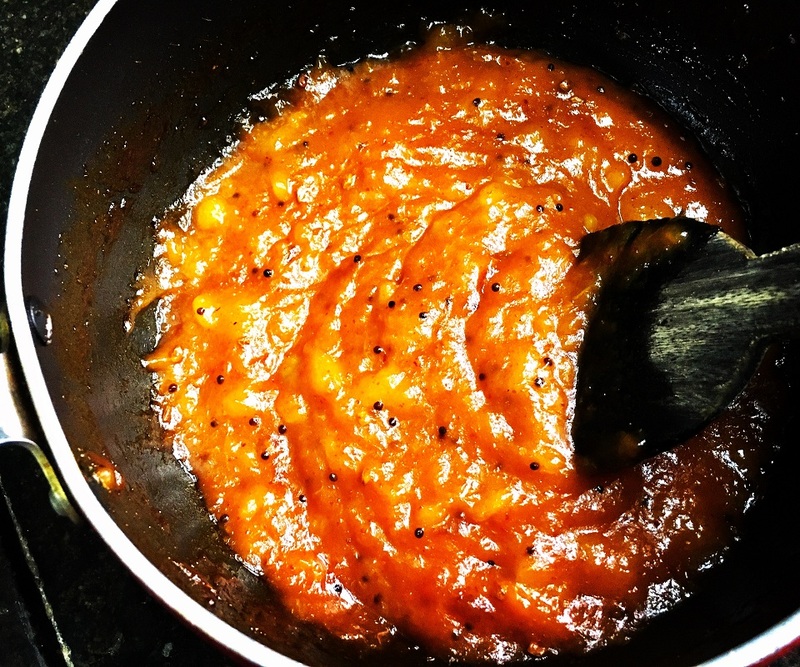 Stir and add the mango pulp, red chilli powder, jaggery and a pinch of salt. Mix well. Cover and cook till the jaggery melts and all the water from the pulp evaporates. Note :Transfer it to an air-tight container and keep the remaining portion in the refrigerator. It stays for about a week. And tastes as good when it’s cold. It needn’t be heated up before serving again.